Get ready for school and practice phonics with your little one. The last set of winter beginning sound activities includes two cards with words yarn and zephyr. 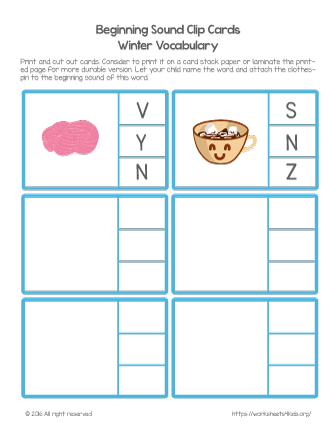 Four plain cards available to create your own activity and explore more words with your child.